Heinze coil unit, COMPLETE NEW CONSTRUCTION! 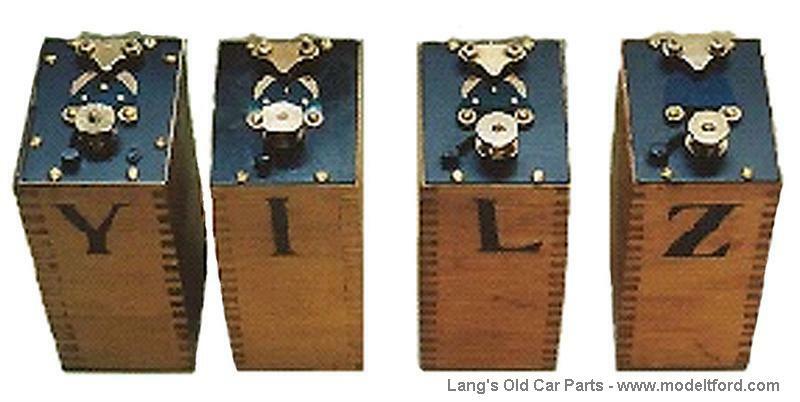 New wood case with correct box joints, alcohol ink stenciled letter on side of box as original, brass contacts, points, complete top plate, insulator. Has late style coil points. Show quality. Fits original coil boxes only. Are the Hinze coil and the later K-W coils different sizes? Yes, Before mid year 1913 the coils we not standardized and every company had different dimensions. By mid year 1913 for had them all made to the same size the didn't change until end of production.